A report published in 2011 from the Aspen Institute based in Washington, D.C. further confirms that the United States imprisonment rate for African Americans is a manifestation of a deeply racist society. Since the police killing of 18-year-old Michael Brown in Ferguson, Missouri on Aug. 9, and the failure of a grand jury to indict white police officer Darren Wilson, mass demonstrations and rebellions have erupted across the country. This ongoing unrest has brought national and international attention to the plight of African Americans at the hands of law-enforcement, the grand jury system and prosecutors. Missouri is a southern border-state with a long history of racial segregation. Nonetheless, in the northern city borough of Staten Island, New York, African Americans have also been unable to win justice as illustrated in the refusal of a grand jury to indict another white police officer in the videotaped killing of 43-year-old Eric Garner. Assumptions surrounding the criminality of African Americans are deeply rooted in the period of slavery. After the Civil War and the legal abolition of involuntary servitude outside of imprisonment, mechanisms were put in place to continue the containment, oppression and exploitation of the descendants of enslaved Africans. Despite the heroic and pioneering role of African Americans in making social gains during the period of reconstruction during the latter decades of the 19th century, the system of racialized subjugation was reinstituted through a series of structural barriers placed upon African Americans including criminalization utilizing unjust laws, police terrorism, lynching and penal labor camps. Even though the Civil Rights and Black Power movements created the conditions for the formal Congressional elimination of segregation laws, the actual structural barriers and methods of repression have continued and in many ways become more sophisticated and insidious. Assumptions related to the inherent criminality of African Americans serve to provide a rationalization for police violence against the community as well as discriminatory treatment within the overall criminal justice system. A report released by the Aspen Institute three years ago entitled “Race, Crime and Punishment: Breaking the Connection in America,” edited by Keith O. Lawrence, illustrates that the disproportionate impact of the racist assumptions still prevalent in the criminal justice system from the police, prosecutors and prisons serves to perpetuate a racially-stratified society. Civil Rights laws may imply that all are equal before the system, however, the actual operational culture of law-enforcement and the grand jury works to imprison African Americans and exonerate the police. Moreover, nearly seven million people are under some form of correctional supervision through probation, parole or community service. Therefore, the U.S. has the largest per capita prison population of any other country in the world. Official census figures indicate that African Americans constitute approximately 13 percent of the U.S. population although they are 40 percent of the prisoners. Those designated as Latinos represent 15 percent of the overall number of people in the country and at the same time they are 20 percent of those in the prisons. Consequently, the rates of imprisonment for this oppressed nation within the confines of the U.S. reflect a systematic targeting of the community which can only be explained as being racially discriminatory in origin. 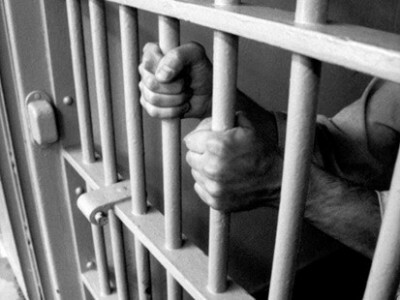 These rates of incarceration have accelerated over 500 percent since 1970, just two years after the conclusion of the passage of a series of Civil Rights bills and executive orders between 1957-1968, which ostensibly outlawed discrimination in areas of voting rights, access to public accommodations, employment and housing. In fact some suggest that the rates of incarceration for African Americans are far higher than what existed in South Africa at the height of the struggle against apartheid. New York Times columnist Nicholas Kristof published a series of articles entitled “When Whites Just Don’t Get It” making such an argument, among others, utilizing the statistics put forward in the Aspen Institute report. Despite the existence of Civil Rights laws and the intervention of the Justice Department through consent judgments designed to improve police practices in the overall relations with the oppressed communities, there has been a sharp rise in the use of lethal force against African Americans. The growing awareness and sensitivity to such levels of police and criminal justice system misconduct and brutality, will inevitably necessitate ongoing anti-racist demonstrations. These mass protests and rebellions will result in further actions of repression by law-enforcement agencies which are heavily equipped with military hardware supplied by the Pentagon. No matter how many “retraining” exercises the police are subjected to unless there is a fundamental transformation in the system of national oppression and economic exploitation, the conditions of African Americans cannot change for the better. The Obama administration and its Wall Street and Pentagon backers have no intentions of addressing these issues. Only a mass revolutionary movement can wage an effective struggle against racism in all of its manifestations.